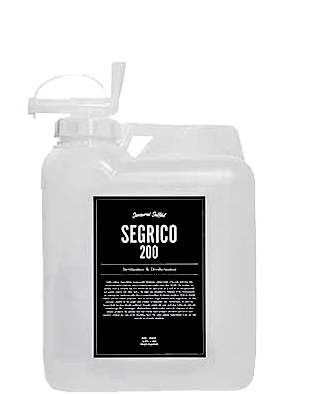 A disinfectant and deodorizing liquid made with twice the concentration of "Stable Sodium Hypochlorite" as the original SEGRICO, for business use. It comes in a lightweight, durable, environmentally friendly ultimate polyethylene blow molded container. It can be crushed and discarded or incinerated after use.